Wednesdays during the semester, students from Princeton University, Westminster Choir College, and Princeton Theological Seminary gather at Procter House for a short, informal service of Eucharist in the St Teresa of Ávila Chapel in Procter House (6pm) followed by a home-cooked dinner and conversation about life, school, faith, doubt, and current events. As always at ECP: Come whenever you can, stay for as long as you can, leave whenever you need. Members of the wider ECP community connect with a variety of small groups for regular fellowship, prayer, and Bible study. 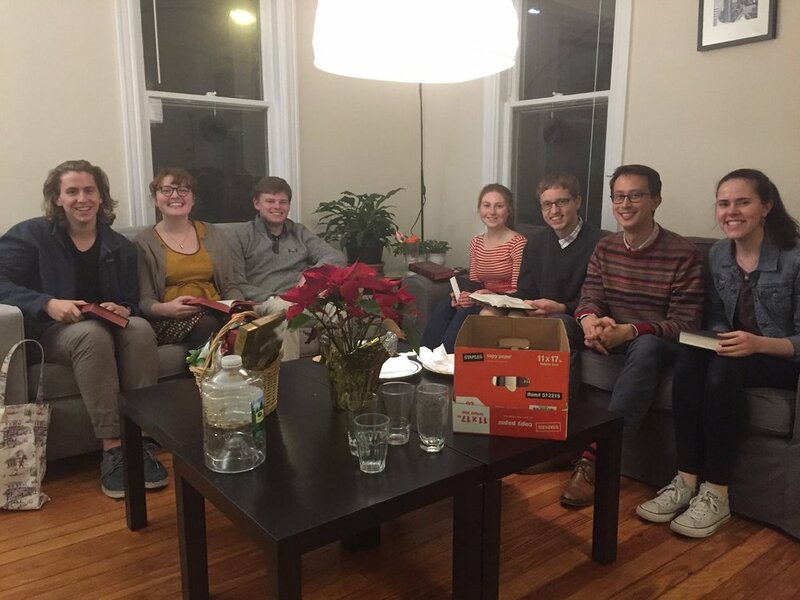 From our Undergraduate Student Fellowship (Mondays at Procter House), to the Graduate Student Fellowship (Saturdays at Procter House) to the Westminster Fellowship and PTS Episcopal Student Fellowship (with events throughout the year), everyone at ECP belongs. Throughout the year, the chaplain and students regularly organize a variety of social events––from camping trips to ice cream runs, our annual Fat Tuesday Food Truck out in front of Murray Dodge Hall to the Spring Dean's Date party on the U Chapel lawn, to movies and outings with friends. For information on upcoming events, like us on Facebook and sign up for our weekly email (below).